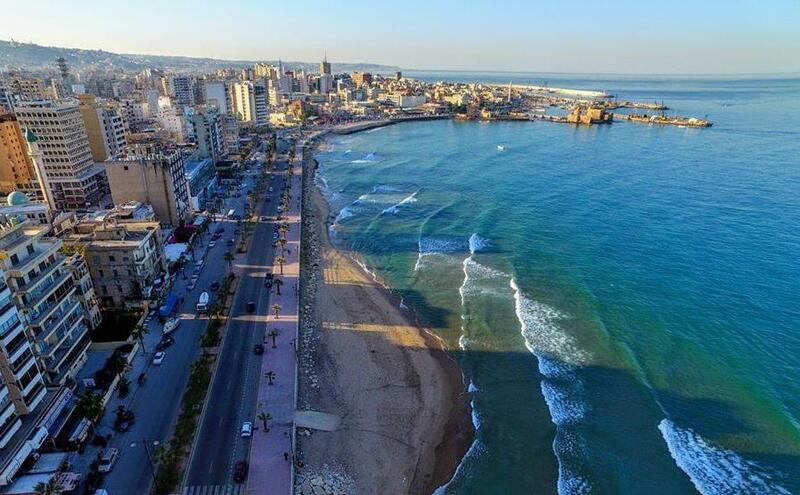 As Lebanon’s third largest city, Saida is home to communities with diverse backgrounds. Saida is also home to Ein El Helweh, the largest Palestinian refugee camp in Lebanon. Established in 1948, the camp has since grown with Palestinian refugees from Syria seeking shelter. In 2017, the United Nations Office for the Coordination of Humanitarian Affairs (UN OCHA) estimated that this number is approximately 6,000 refugees, causing a strain on infrastructure and the camps health and education services. Periodic clashes between different political factions in the camp have erupted over the years, causing heightened sensitivities. 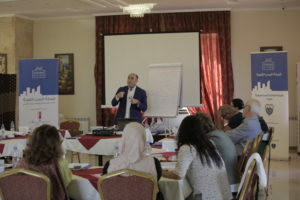 Saida’s SCN Community Prevention Network (CPN) reflects the diversity of local civil society organisations (CSOs) and NGOs, with members from the Municipality of Saida, the local community including the Ein El Helweh camp working together to address their local issues. The assassination of former Prime Minister Rafiq Al-Hariri in 2005 divided Lebanon along two opposing political coalitions: the Shia-aligned March 8th movement, and the Sunni-aligned March 14th movement. More recently, the Syrian conflict has facilitated an influx of vulnerable refugees into Lebanon. According to the United Nations High Commissioner for Refugees (UNHCR), there are approximately 1,011,366 Syrian refugees in Lebanon. Inevitably, this has caused a strain on national government, raising myriad social, economic and political issues from sensitivities between host and refugee communities to pressure on health services and infrastructure. Coupled with the fresh memory of Lebanon’s war from 1975 to 1990, sectarian tensions lay at the surface and civil society initiatives face the challenge of their work being defined along sectarian lines. Against this political backdrop, PVE initiatives work within the sensitive space of Lebanon’s social and political fabric. 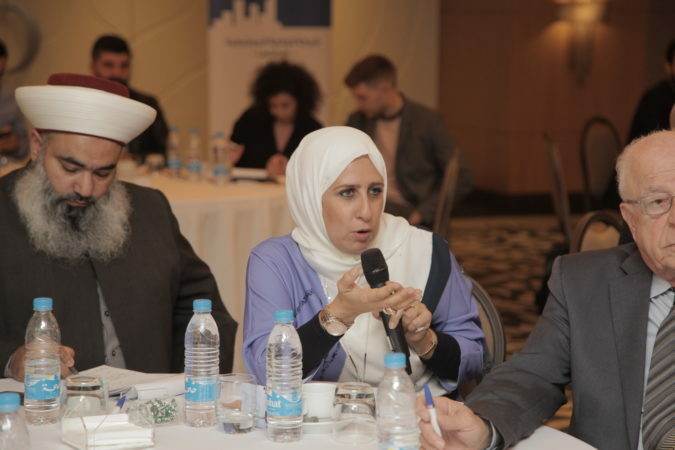 In 2017, the Lebanese government appointed the country’s first National PVE coordinator focused on creating a holistic strategy to combat violent extremism. A National PVE Strategy was endorsed at the end of the 2017, and officially launched in early 2018. In 2016, the Strong Cities Network launched 6 Community Prevention Networks (CPNs) across Lebanon and Jordan. Working at a municipal level, the CPNs seek to bridge communication between the municipality and local civil society organisations (CSOs), NGOs and other stakeholders such as teachers, social workers and religious leaders interested in PVE. The SCN CPN model is tailored to each city’s needs, working to address the issues that members of the network see as a priority to support local PVE efforts. Local stakeholders know their local contexts, and are best suited to address the challenges their cities face. 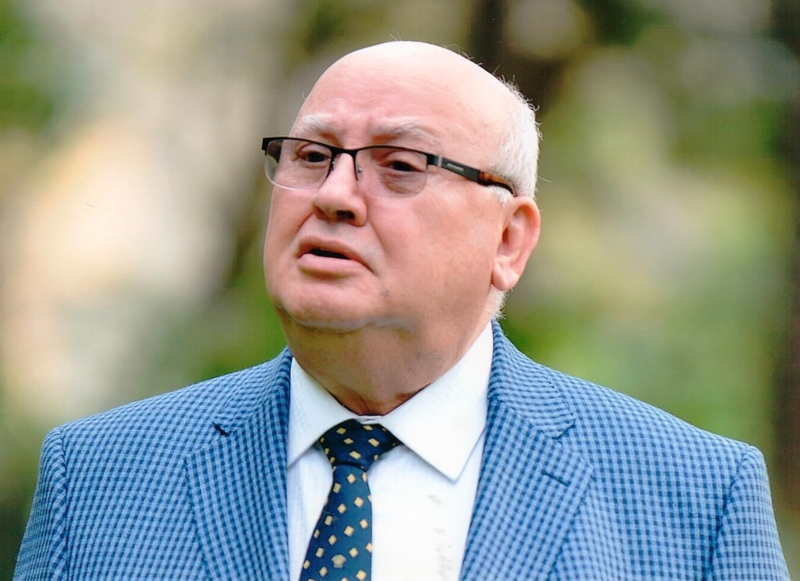 In Saida, the CPN is made up of 17 members across a range of different sectors and works closely with the Municipality of Saida, holding its meetings in the municipality buildings with direct support from Saida’s Mayor, Mohamed El Seoudi. Facilitating communication between Mayor El Seoudi and the CPN is Mirna El Sabbagh, a municipal employee and Saida’s CPN Focal Point. In July 2018, Saida was recognised for its active engagement as a member of the Strong Cities Network and announced as member of the SCN International Steering Committee for 2018-2020. On October 5th 2017, Saida officially launched its Community Prevention Network (CPN). 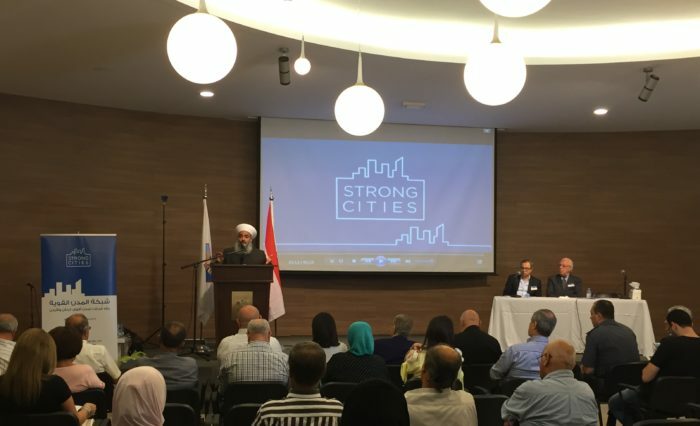 More than 150 people attended the launch, including the Mayor of Saida who inaugurated the event, municipal officials, local civil society organisations, NGOs and other community leaders and activists. 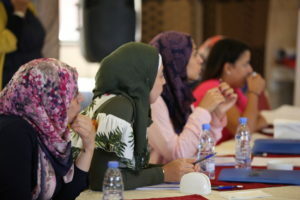 The CPN co-developed the ‘Local Guide for PVE work’; launched in May 2018 in the presence of the National PVE Coordinator Rubina Abou Zeinab, project partners and local stakeholders. Members of Saida’s CPN have chosen to focus on youth between the ages of 14 and 21 and their external influences beyond school and family. In 2018, Saida’s CPN identified schools as an important space for PVE awareness, for both students and teachers. In a series of sessions, the CPN organised teacher’s training for local teachers on PVE. Saida’s preventative awareness raising is rooted in its mission statement as a CPN and runs as a key theme across its chosen activities. True to its mission statement, Saida’s CPN has also organised Scout leaders training. With an active scene in Saida and Lebanon more broadly, local Scouts are a key target audience in raising awareness around PVE. In a series of sessions, Scout leaders received tailored PVE training from CPN members.